Champions are born with something special. Something that makes them stand out from those around them. That gives them an edge in almost all the day. Something that warrants a special tale be told about their travails. Storyteller David Rubín plans to reexamine the life of the world’s greatest champion in The Hero, coming this June from Dark Horse. Heracles, the son of Zeus, came into the world with strength, charm, and a fighting spirit. Featuring an introduction by John Arcudi, The Hero brings the legend to life through Rubín’s masterful storytelling and dynamic art! Throughout Heracles’s incredible adventures from his innocent boyhood to his meteoric rise to popularity as he tackles the Twelve Labors, his journey is tempered by a steady decay that never relieves him of his heroic burden. And this burden becomes his only grip on reality as Heracles edges toward his fateful end. Preorder your copy of The Hero Book 1, coming in June 2015. The Hero Book 2 will be available in December 2015. FOR IMMEDIATE RELEASE: MILWAUKIE, OR—Groundbreaking storyteller David Rubín (The Rise of Aurora West) reexamines the life of the world’s greatest champion in The Hero. Heracles, the son of Zeus, came into the world with strength, charm, and a fighting spirit. Featuring an introduction by John Arcudi (B.P.R.D., The Creep), The Hero brings the legend to life through Rubín’s masterful storytelling and dynamic art! Throughout Heracles’s incredible adventures from his innocent boyhood to his meteoric rise to popularity as he tackles the Twelve Labors, his journey is tempered by a steady decay that never relieves him of his heroic burden. And this burden becomes his only grip on reality as Heracles edges toward his fateful end. 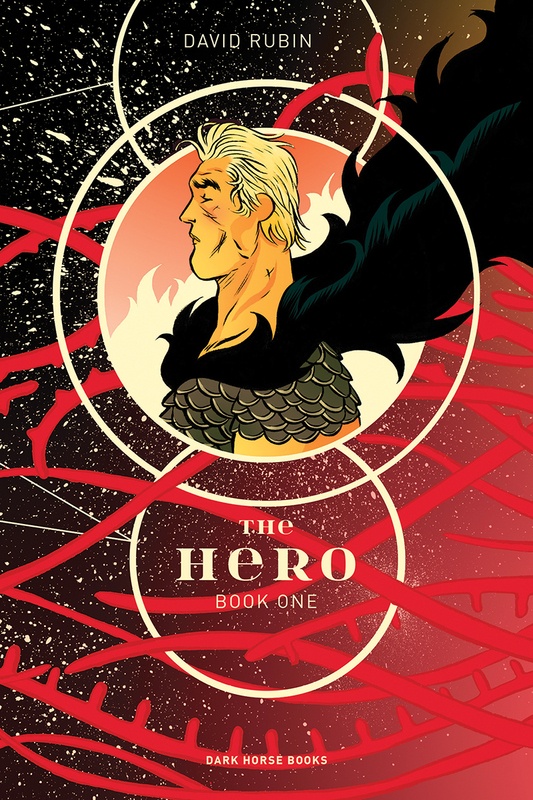 Preorder your copy of The Hero Book 1, coming in June 2015, from Amazon, Barnes & Noble, orIndieBound, or contact a local comic shop through Comic Shop Locator. The Hero Book 2 will be available in December 2015. David Rubín is an animator and cartoonist. After studying graphic design, David Rubín worked in an animation studio and went on to co-direct the film The Spirit of the Forest (2008). At the same time, he founded the collective Polaqia in 2001 and collaborated with Golfiño, La Voz de Galicia and other magazines. He lives in Orense, Spain.